Why the first job interview is most crucial and how to prepare for it? 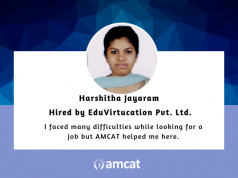 How can you prepare for aptitude test for jobs? Feeling lost at the office café or unsure about how to strike the right conversations? Read on to find more about dealing with cafeteria conversations at your first job. Many graduate trainees are joining the workforce in their first job over the next few months. The transition from college to the company is both nerve-wracking and exciting! It will be your first step into the world of ‘adulting‘ where you are fully responsible for your actions. 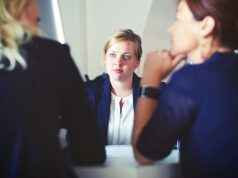 While you may be prepared to face your work armed with knowledge and expertise you need to navigate the relationship minefield at office carefully! Politeness is the basic expected quality in a workplace and you are never to act otherwise. You might maintain decorum within your team but usually, at the cafeteria, you will come in contact with outside vendors or other working class people. This is especially when you should maintain your calm and act polite no matter the provocation. In large office cafeterias, you may be stuck with wrong orders – either if they jotted it down wrong or gave you someone else’s order. Just deal with it patiently. There are several seniors around you and you cannot get agitated or shout at the servers or vendors. Just ask politely and see that the issue is sorted calmly. A visit to the cafeteria might be the only time you can get away from your desk and you will start to cherish the time. In this situation if your own manager decides to sit at your table or if the café is crowded some other colleagues decide to sit, be nice to them and include them in the conversation. You will most probably develop a routine with your own team members or with your college friends who work in the same office. Don’t fret or continue the conversation without including the other person. That is rude and might come across as insensitive. And you will also lose a chance at networking! Don’t develop an attitude of ‘Yeh yahaan bhi Aagaya‘ or that your manager or some colleague is following you all the time. If you wish to leave, just make polite conversation and leave, don’t leave the table/place abruptly when the other person walks in. The office cafeteria is a prime location for the grapevine which means the discussion of unofficial information or rumours. While the grapevine is an important source of office communication try not to be the source of it! You might enjoy the odd bit of gossip but ensure that you are surrounded by trusted people before you comment anything outwardly. Don’t take your new colleagues for granted, they might appear friendly and show trust in you but take some time before you confide everything in them. Don’t talk anything negative about your manager especially. Start developing a diplomatic personality; this will serve you well in the long run. Friendships can always be made away from office! 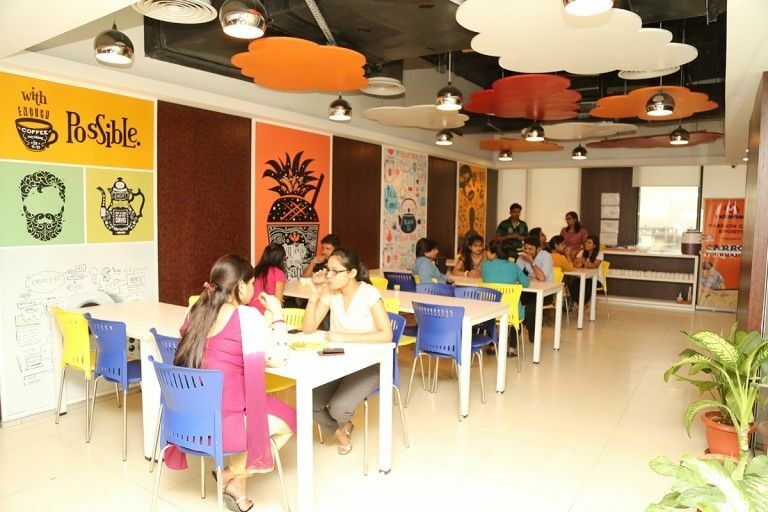 Office cafeterias are large public areas and the acceptable manners of dining should be followed here as well. Dispose of waste properly, make sure you leave behind a clean table and follow the right table manners. Every small gesture impacts on your personality and people’s perception, especially in your office job. Networking is building professional relationships and the cafeteria is the best place to start it. Even senior managers are in a relaxed mood and you can make the best of it. Ask them if you can join them for a break and initiate a light discussion. Don’t expect serious talk like promotions or growth in the company right away. You can possibly connect with seniors on a similar hobby like running, trekking or sports. By building an informal relationship you can let them get to know. Pretty soon you will notice that people are suggesting different roles in the company, giving career advice and even referring you when the time comes! Go ahead and build great relationships and make the most of the company cafeteria! Read more about first job advice here. An MBA graduate, I am a sales professional turned freelance writer. I enjoy writing about careers and education, having quiet a rollercoaster of an experience with both! I love trekking and consider life as one big trek, where the journey is more important than the destination. I enjoy reading both online and offline, when not writing for living you will find me dreaming about my unwritten novel! My favorite quote that’s sort of become my life mantra - “Who you are is defined by what you’re willing to struggle for” – Mark Mason.